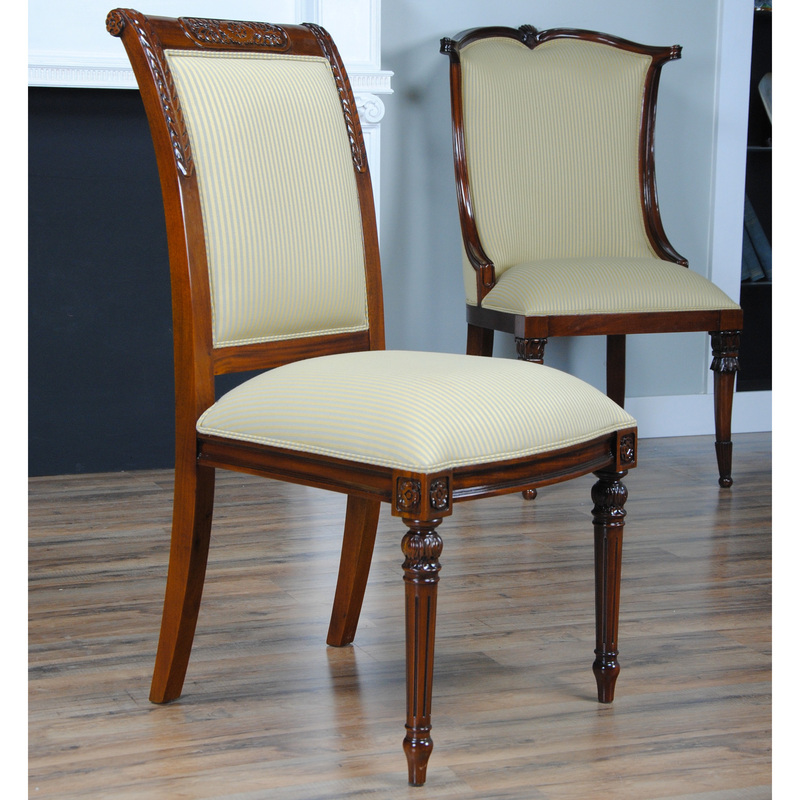 The Carved Empire Upholstered Side Chair by Niagara Furniture with carved top rail features a fully upholstered back which gives this chair a great quality designer look as well as a maximum comfort while seated for dinner. 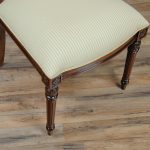 The drop in seat provides the ability to have the fabric changed somewhat easily should you decide to customize the chair with fabric of your choice. 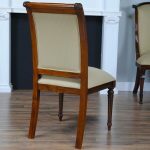 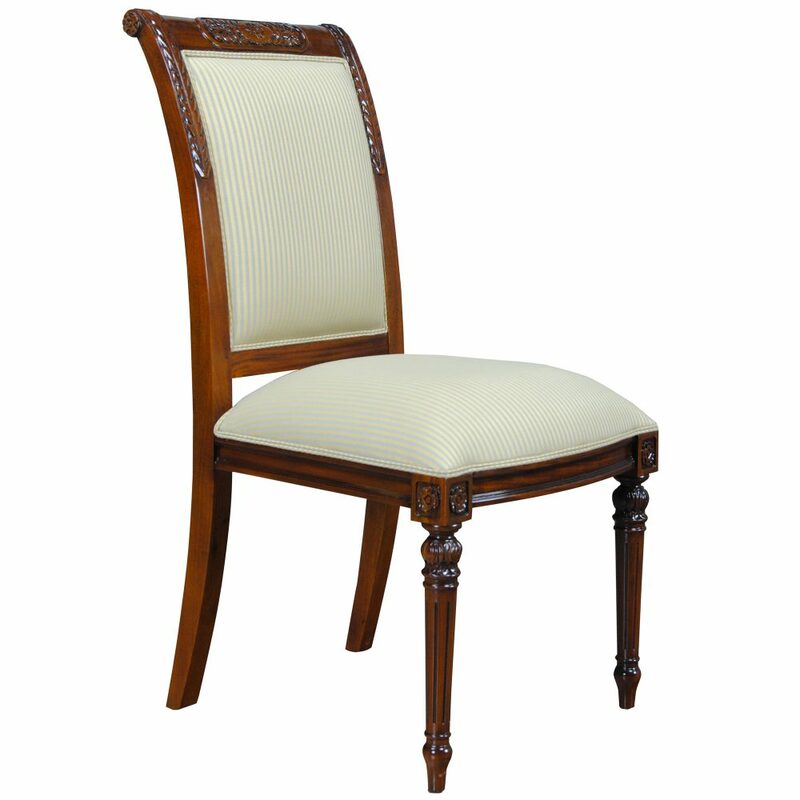 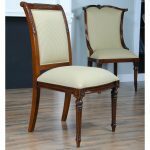 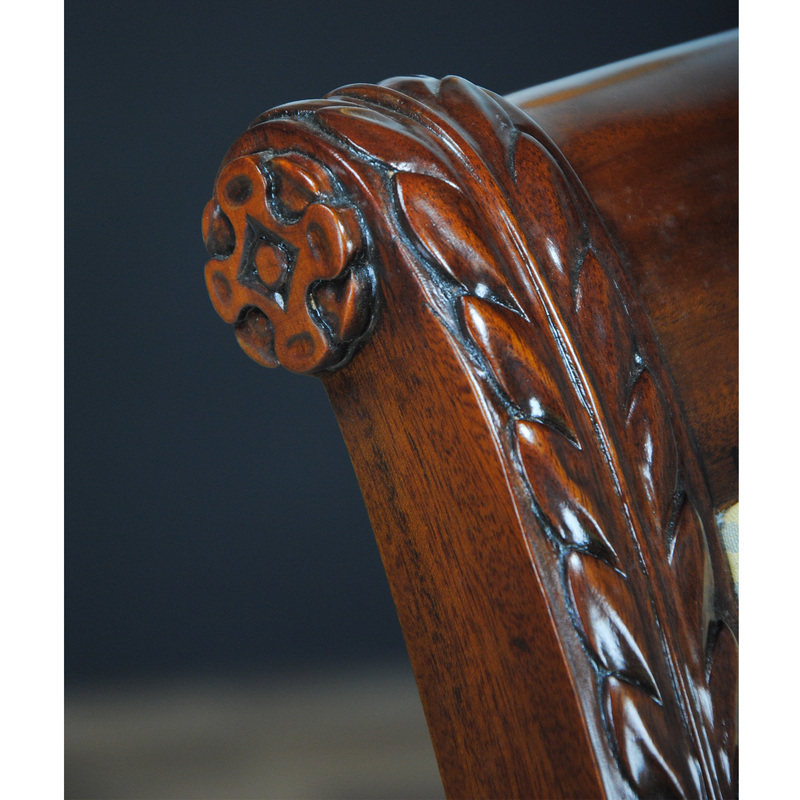 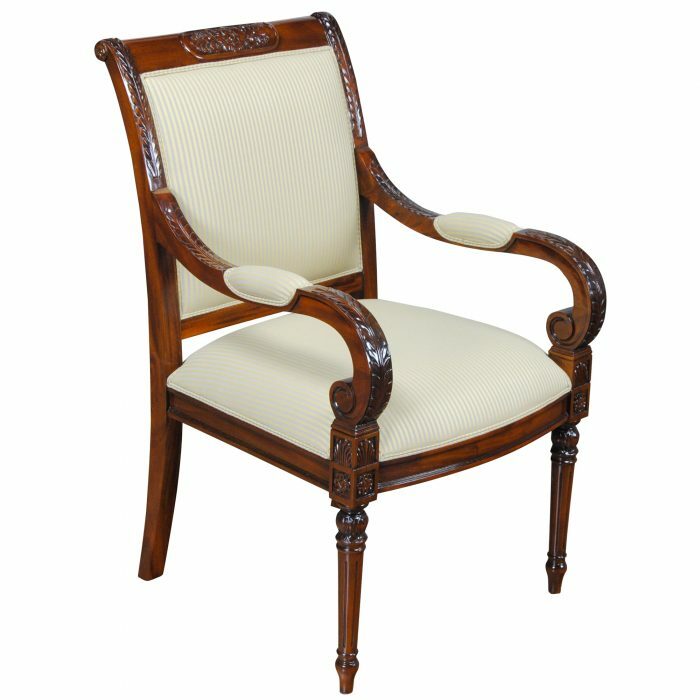 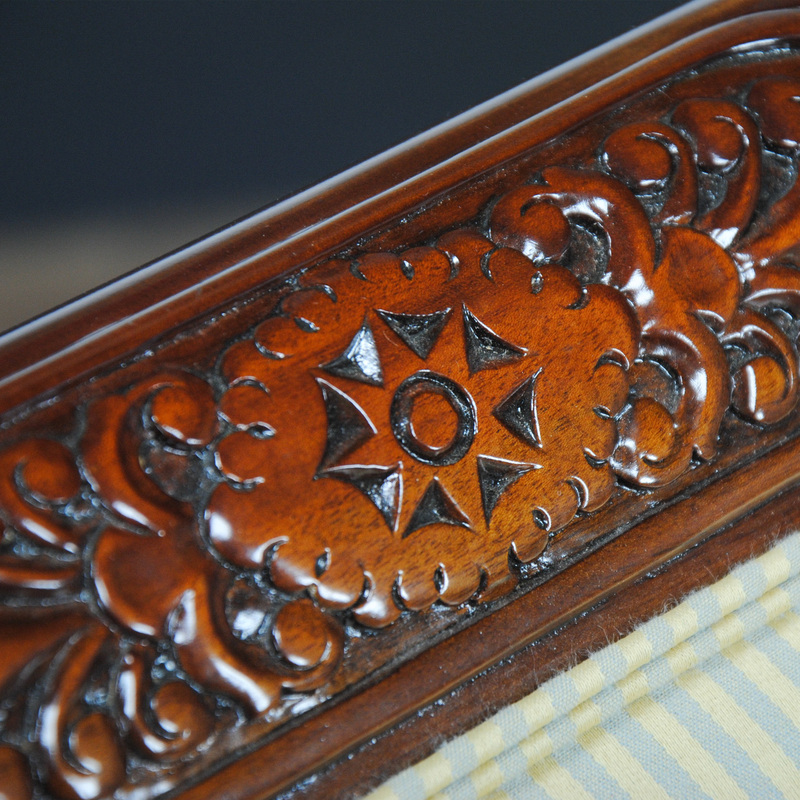 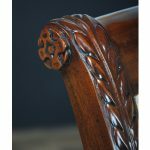 The hand carved solid mahogany frames are produced from kiln dried, plantation grown mahogany. 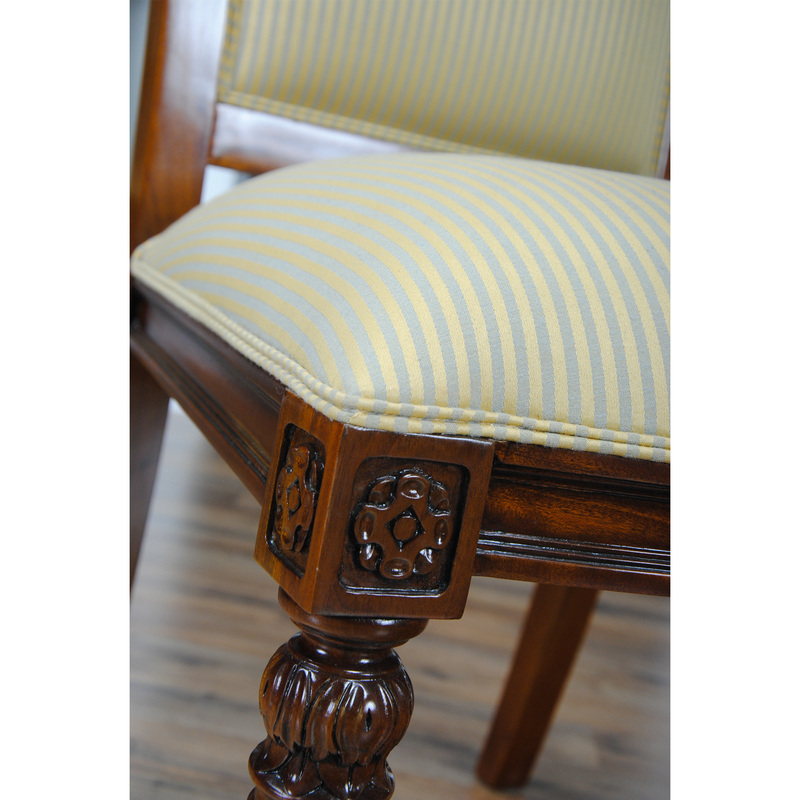 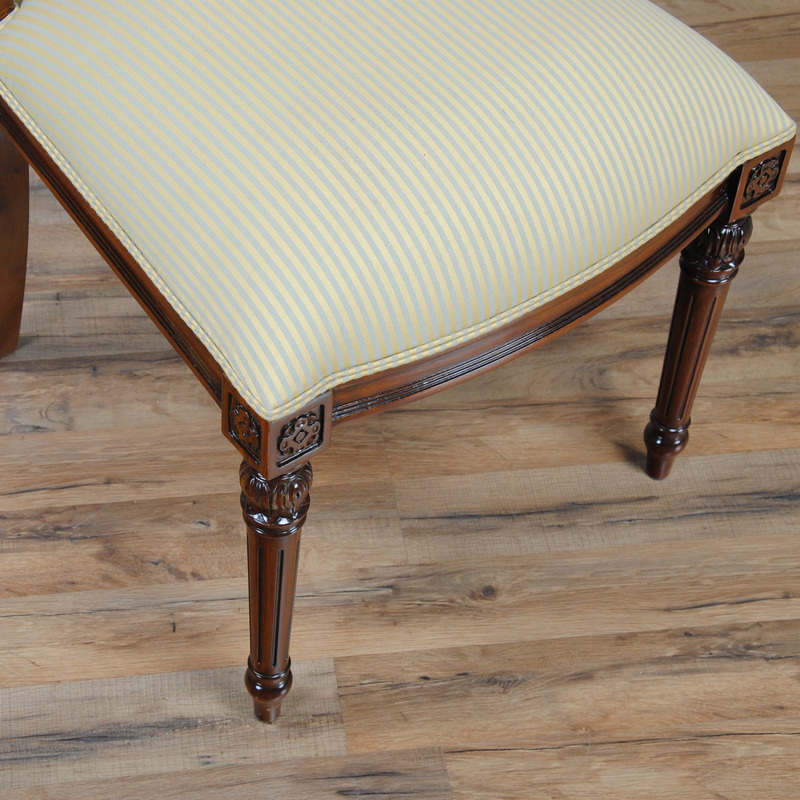 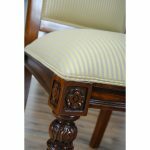 The Carved Empire Upholstered Side Chair is stocked and ships out with our standard, neutral green strip fabric, ready for use in almost any setting. 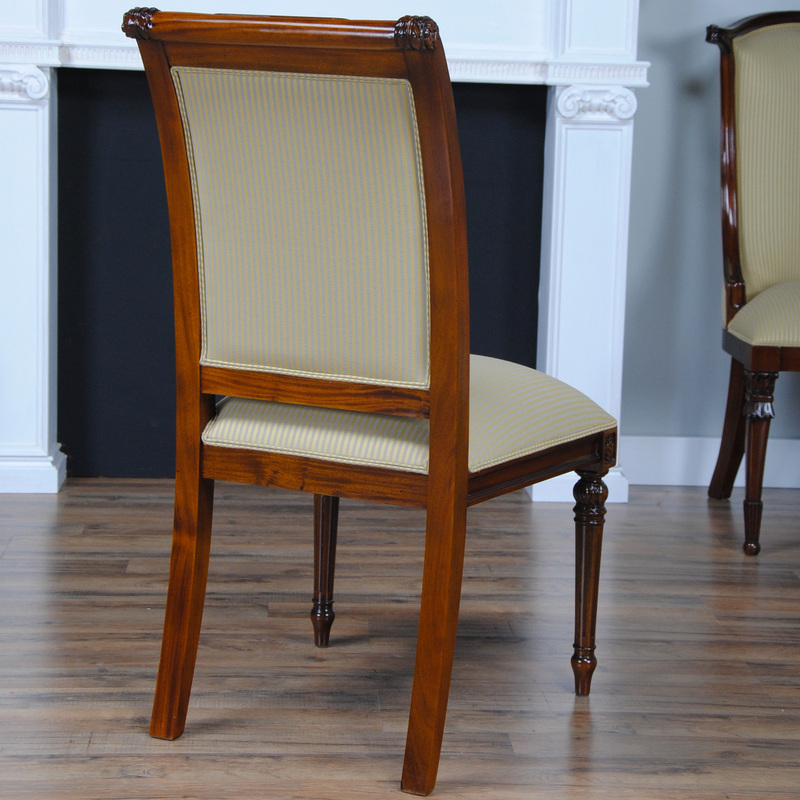 Please note that this side chair is slightly narrower than many fully upholstered chairs allowing you to fit more guests around the table!